#159. The Great Falls of the Potomac River. 16.5 x 22, oil on canvas. Not signed. The view is from the Virginia shore. 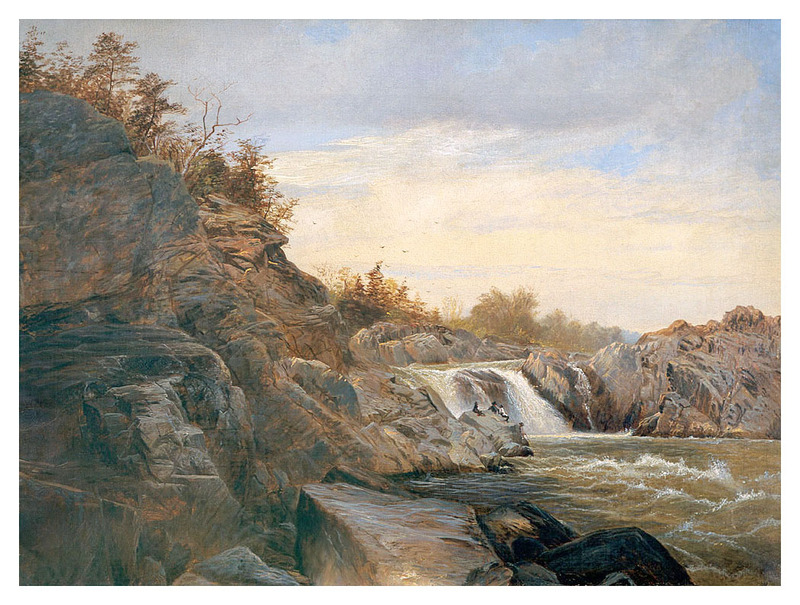 The falls are located about 10 miles north of Washington D.C. The style and location suggest that this painting may be from very early in Munger's career, possible before he moved to New York City in 1866. The paintings has descended from Roger Munger through the family to the current owner. QFD 3. Image from Tweed Museum transparency.